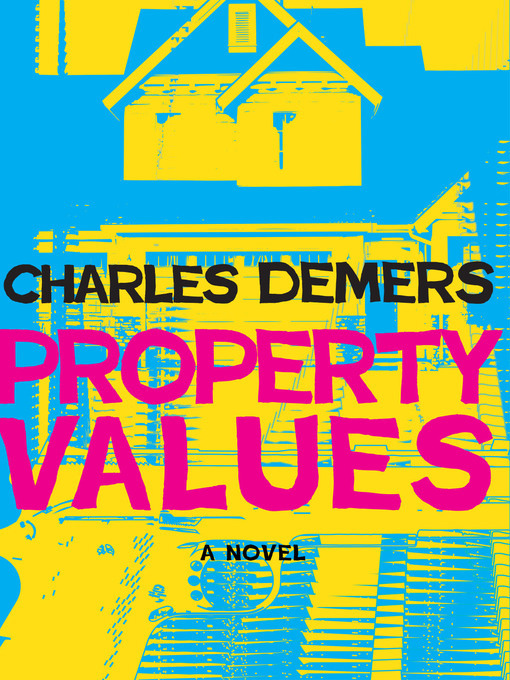 The worlds of urban gentrification, overpriced real estate, and gang violence collide in this wry and sardonic crime novel by author and comedian Charles Demers. As a shaky truce between suburban gangsters starts to unravel, schlubby civilian Scott Clark has other things on his mind: if he can't afford to buy out his ex father-in-law, Scott's about to lose the only house he's ever called home. In the red-hot urban housing market, he doesn't have a chance — until he and his best friends take the desperate measure of staging a fake drive-by shooting on the property to push down the asking price. But when Scott's mobster-posturing stunt attracts the attention of the real criminals, his pretend gang soon finds itself in the middle of a deadly rivalry. 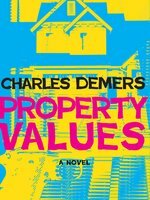 With wicked humor and a brilliant cast of desperate characters, Property Values explodes the crime novel trope while exploring the comic lengths a man will go to in order to become a home owner in today's market. When the murders were reported the next day, the papers would be sure to note that the victims were known to police, so that normal people wouldn't be too worried, or care too much. To be known, in this way, was even more intimate and thorough-going than the biblical sense of the word; for Brody Miller and Wayson Tam, the two Da Silva Brothers associates gunned down outside of the Pancakes! Pancakes! Pancakes! In Kamloops in the harsh dry sunshine of a summer afternoon, to be known to police was to be hived off from the rest of humanity, to be marked as the kind of easy-money scumbags who refused to work for a living like the rest of us. Anybody who expected an immediate 70% or 80% return on any investment, besides a house, probably had whatever was coming. The criminal enterprises of the Da Silva brothers had deeply divided the local racist community: those who primarily saw news about them on television considered them to be emblematic of the Punjabi gangs threatening the safety of Lower Mainland taxpayers, while those who primarily heard about them on the radio considered them to represent the nightmare of Latino criminal predation. That they were neither Punjabi nor Latino perhaps got at the underlying set of circumstances that had allowed the two siblings to navigate the Vancouver underworld with such success. Born in Canada to Catholic parents from Goa, the Da Silva boys had found themselves uniquely equipped for life and death in the mosaic of organized crime on the West Coast. Vincenzo "Zio" De Angelis had been present at the First Communion of Danny Da Silva's daughter, Epiphany; Nicky Da Silva had been photographed on all three days of Manpreet. "Goodnite" Singh's wedding. Almost preternaturally, the Da Silva boys had developed a talent for talking with the very select groups of people whom they could not terrify or, eventually, extinguish. Like early Cold War Americans, they combined hard and soft power expertly, viewing big guns and diplomacy not as mutually exclusive alternatives but as handmaidens; like early Cold War Americans, they prioritized talent above tribal loyalties, recruiting brains and muscle in all hues. There would be some newspaper readers who, in taking in the news of Miller and Tam's shooting, wouldn't be able to help but be oddly moved that a boy christened Brody Terrence and a boy christened Wayson Ji Yu could be members of the same gang, gunned down by the same people. It marked a certain kind of progress.